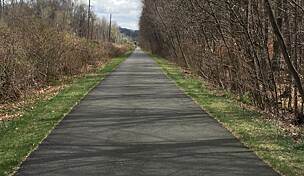 The 3-mile Old Erie Path has a rougher surface than its neighboring Esposito Trail, but is suitable for walking and for hybrid or mountain biking. 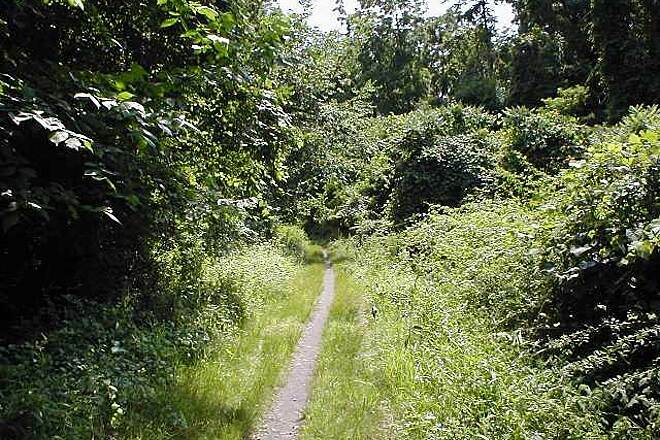 In contrast to the prior mile along roads and homes, this path is more remote. 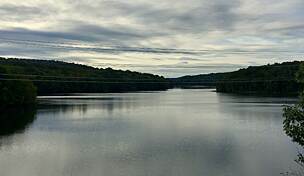 The railroad bed was cut into the side of steep hills that drop into the Hudson River, so trail users have a spectacular view across the wide river. Homeowners, many of them high above or downhill from the corridor, access the trail by way of creative engineering: hillside stairways with handrails fashioned from the limbs of native trees, as well as decorative archways and gates on intricate pulley systems. In Piermont the trail curves west away from the river. 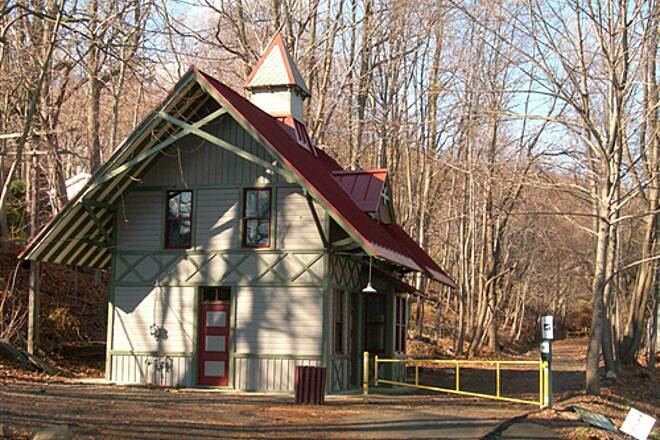 Just before the trail crosses Hudson Terrace, you'll find the restored Piermont train station, which houses information on the area's railroad history. 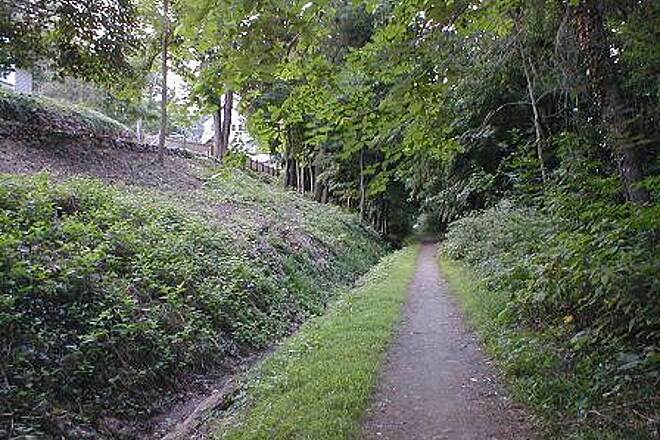 Then the Old Erie Path begins a 1-mile long, densely wooded, gentle descent into the town of Sparkill, where it meets the 2.8-mile Joseph B. Clark Trail. Street parking is available in Nyack, Piermont, and Sparkill. 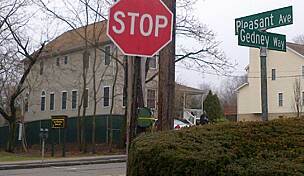 The most convenient parking is at the intersection of Cedar Hill Avenue and Franklin Street in Nyack. From here, the trail travels south. 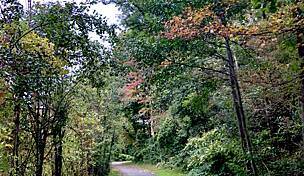 You can also access the trail from the Raymond G. Esposito Trail or the Joseph B. Clarke Rail Trail. Sunday, August 26, 2018, temperature 88F, mixed sun & clouds, moderate humidity. 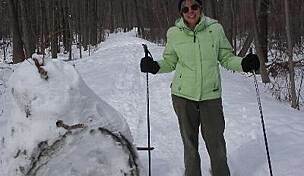 This one review for 3 connected trails: Old Erie, Raymond Esposito, and Joseph B. Clark, where I started at the north end in Blauvelt. 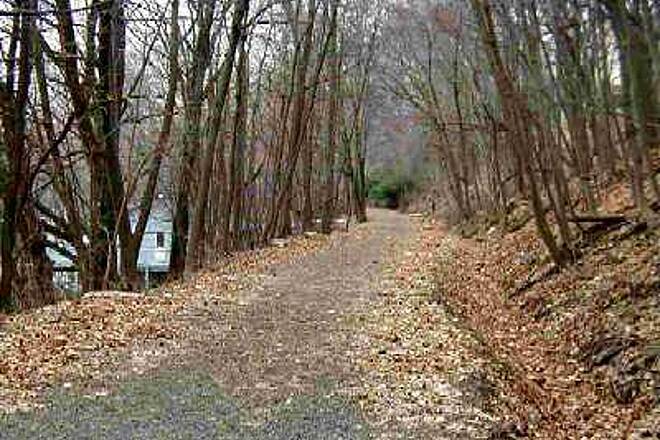 This is a wonderful asphalt community trail that is a very gentle slope down from the northern village of Blauvelt. Nice scenery with a mix of open skies and shade. 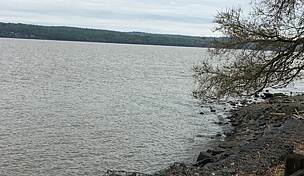 Near the southern end there is a public park with a side connection to the contiguous Raymond Esposito and Old Erie trails, that are unpaved and slope gently down to end at a park in Nyack. 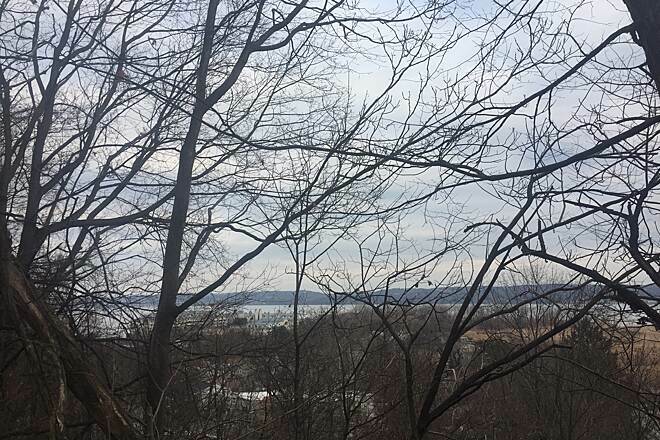 The trail looks down over streets and homes in Piermont and Nyack with occasional summer views of the Hudson River. You ride through a shady forest on a gravel road that becomes a dirt path for a short distance before getting bigger and gravelly again. It's fun. On a warm Sunday afternoon at the end of the trail I decided to take the streets back through Nyack to Piermont and was not disappointed. Nyack along the Hudson River is lined with Victorian and old sea captain-like homes. It's a bike route so there other bikers not doing the trails and really not too much traffic, so I felt safe. The street leads to Piermont, a beautiful little tree-lined village right on the Hudson river offering piers, marinas, restaurants, coffee shops and specialty stores. It really is spectacular. 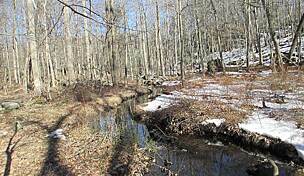 Then the streets lead from a small park over a creek back to the other little park where you meet the trail again. Without signs or knowledge I just followed my instincts and and found my way. Worth a return visit. 16+ miles round trip. Great trail, not for road bikes. 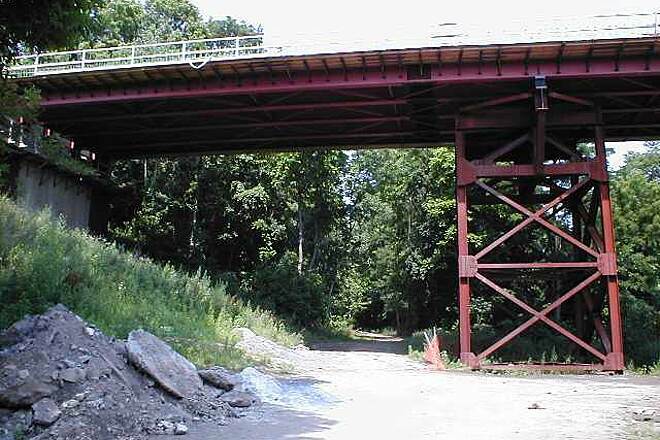 I've ridden and walked this trail many times as I live near here. Great trail with nice river views. In my opinion not really suitable for road bikes. 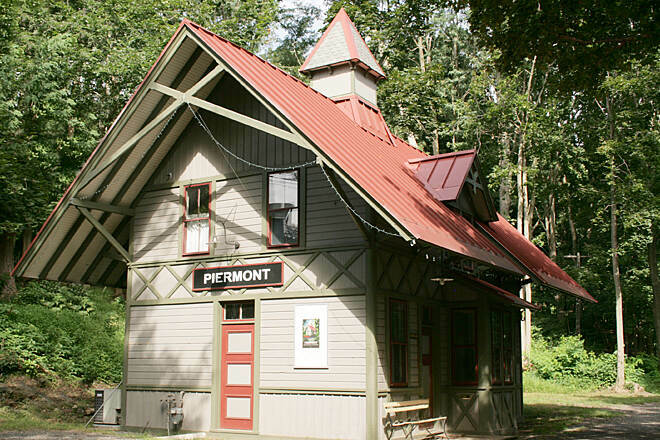 The old Piermont train station is open on weekends and is worth a stop. Beautiful trail. Loved the views and all the unique and creative wooden gates several homeowners fashioned along the way. Highly recommend. 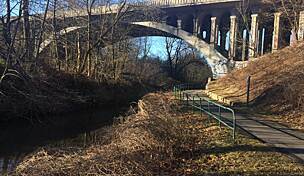 "This is one of the best rail trails in the metropolitan NYC area. 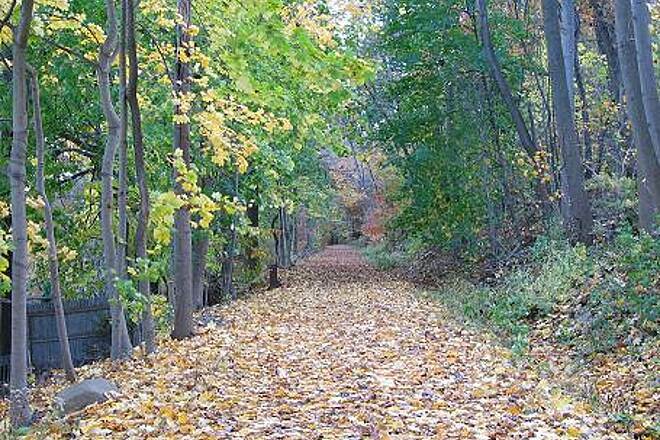 The best time to travel this trail is from late fall to early spring to take advantage of the open views of the Hudson River, Piermont, the Tappan Zee Bridge and Westchester. 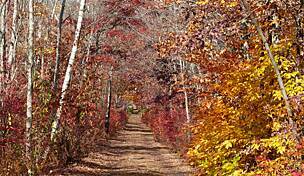 Earlier in the fall, the views are more restricted, but the foliage is gorgeous. 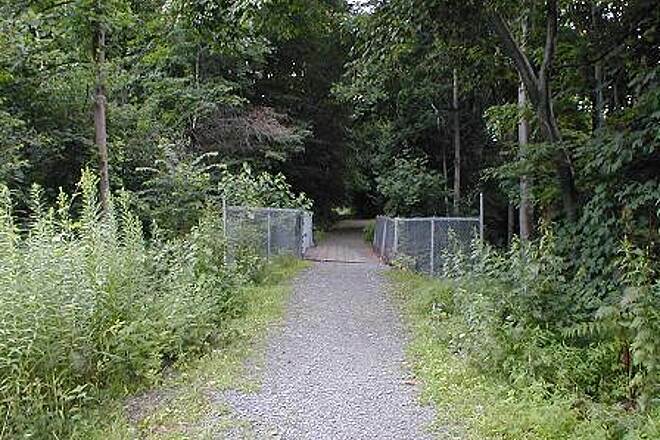 The southern end of the trail connects with the Joseph B Clarke Rail Trail, and the northern end connects with the Raymond G Esposito Bikeway. 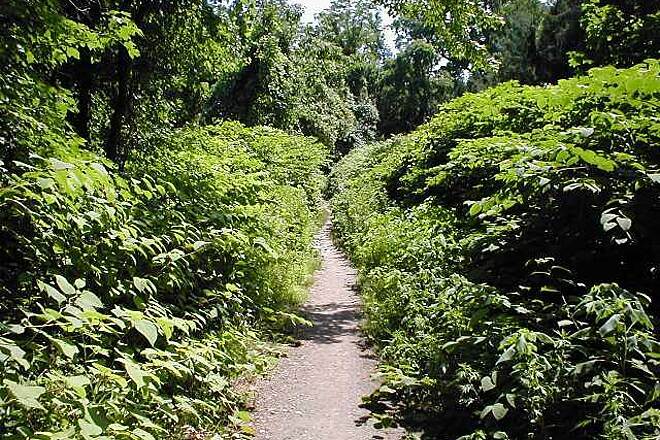 The Long Path crosses the trail at Ash St in Piermont and a loop hike can be made by connecting with the Long Path in Nyack at Highland Ave (less than 1/2 mile west -uphill - from the Cedar Hill Ave end of the RG Esposito Bikeway. Take time to appreciate the architecture of many of the houses above and below the trail on the steep embankments in Grandview and Piermont. 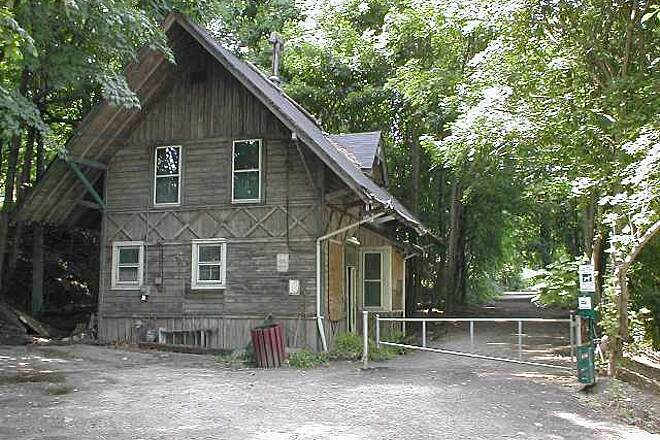 Also avail yourself of the many restaurants and shops in the picturesque village of Piermont. 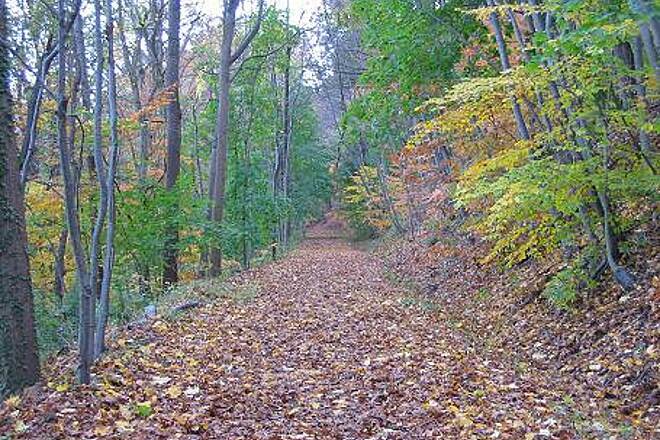 "This is one of the best biking trails near NYC. I bike here at least 2 times per month and I never tire of the scenery. 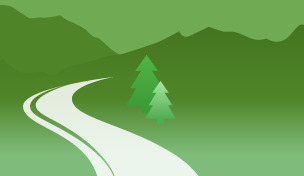 The best seasons to bike on this trail are late fall, winter and early spring. 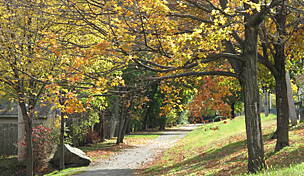 The foliage is light then, which permits you to easily view the Hudson River and Westchester County, NY. The trail is very easy to find, there's plenty of free and safe parking, and restaurants are nearby for your after ride dining pleasure. There are even two top-notch bike shops close at hand if you need a quick repair. One shop is in Piermont, the other in Nyack. 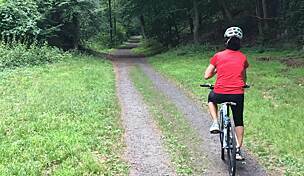 Quick connections to Nyack Beach State Park trails and the Joseph B. Clarke Rail Trail are possible. 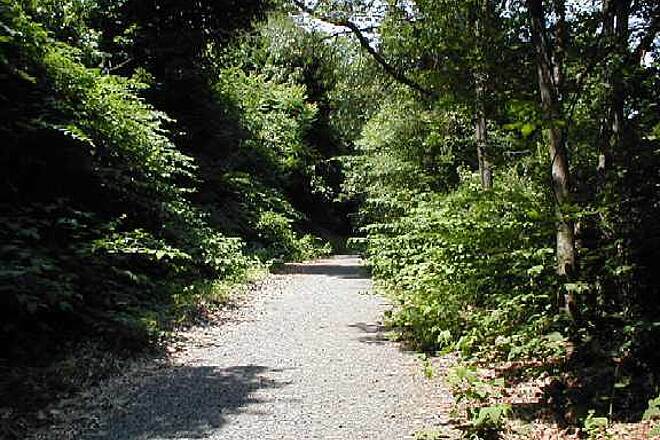 The Clarke trail is directly connected; travel on local streets will be necessary for Nyack Beach State Park riders. 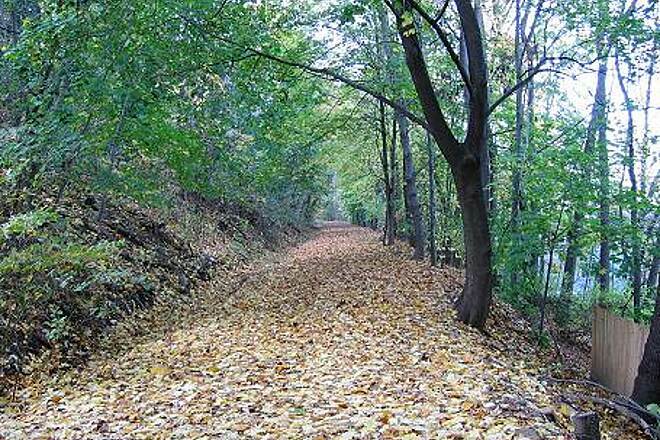 Don’t miss this trail under any circumstances. Write to me for more details if you’d like to."